More than two decades into her career, Mikyoung Kim doesn’t just sculpt landscapes: She creates interactive art. “If we could put up a sign in front [of our projects], we’d say, ‘Please touch. Please engage. 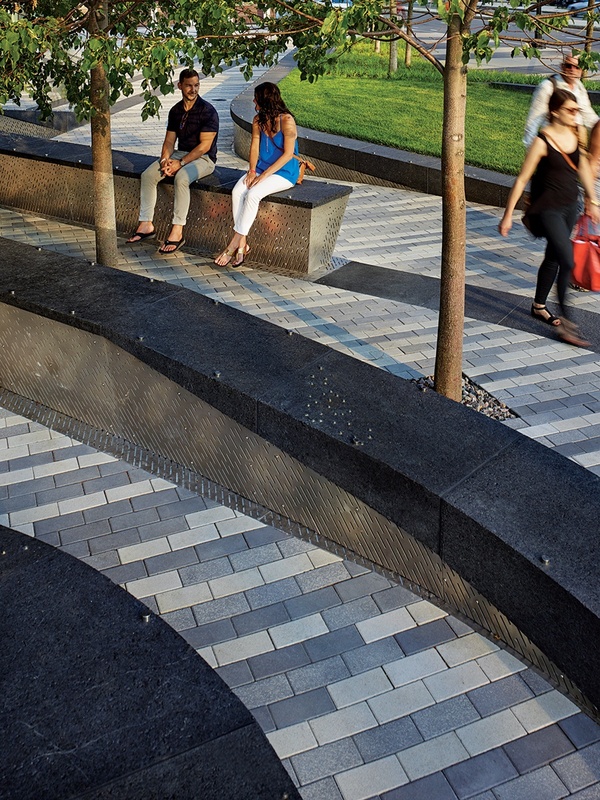 Please climb,’” says the landscape architect, principal of the eponymous Boston-based firm. 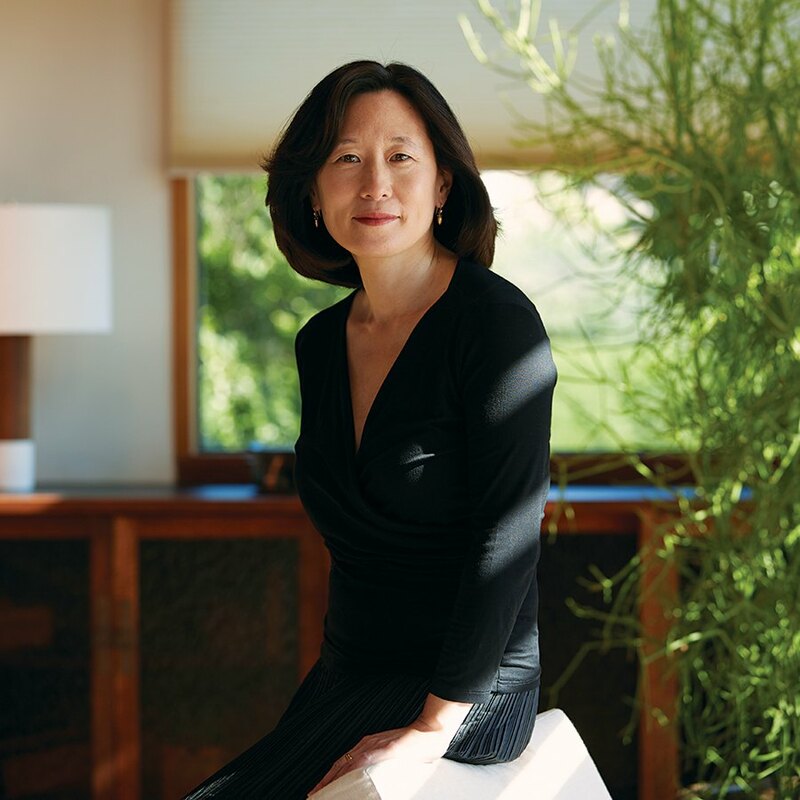 “That’s our motto.” And an incredibly effective one at that: Her firm’s innovative designs—an international medley of bamboo-laden gardens, serene college campuses, and reimagined public plazas—recently earned Kim a new spot on the Boston Civic Design Commission, not to mention two of the industry’s highest honors. You received both a Cooper Hewitt National Design Award and the ASLA Design Medal in 2018. That’s quite a feat! It’s an incredible honor, really. The most humbling aspect was the feedback from our friends and colleagues, telling me how meaningful the acknowledgement of our firm has been to the design community. A number of my friends have brought up this idea of gender and cultural diversity, and how our firm represents that. To a lot of people I know in the community, winning both of these awards in a year feels like turning a page. What is it about your firm’s work that connects with people? I think as a designer, especially when you work in a public realm, it’s really important to have empathy. Within my profession, there’s a lot of interest in ecological issues, but I’ve always felt that there was this other component: us as human beings. Our work, which uses scientific research on the impact landscapes have on our bodies and brains, is about weaving all of that together. We think about people in the city and how we can make them healthier. In our public meetings, it’s something that really resonates with the communities we work with. It’s been 25 years since the launch of Mikyoung Kim Design. 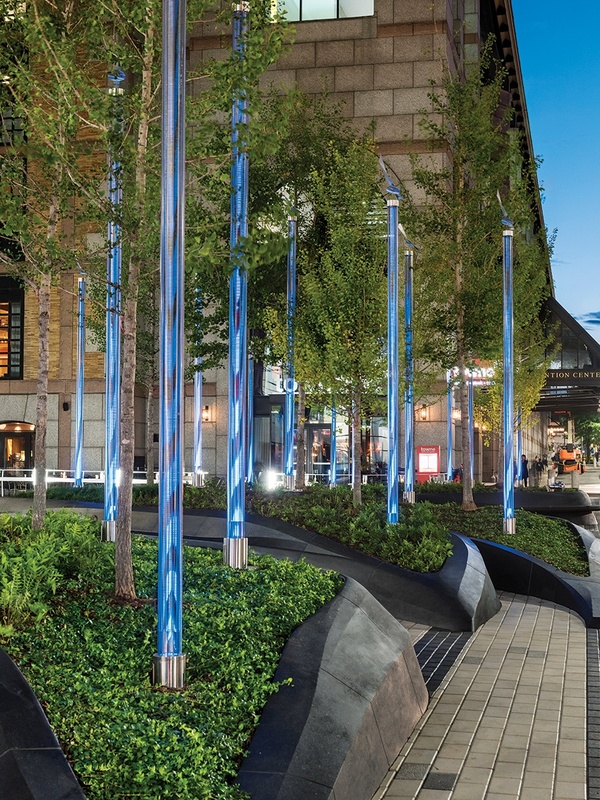 How has your personal approach to landscape architecture evolved over the years? Our office is different from a lot of design offices in that our goal was never to become a gigantic corporate firm, but to embed ourselves into communities and to really practice—like how you practice piano—the art of design. There’s a personal aspect to what we do, even though we work on pretty large urban plans. We still remember that it’s about designing for people. I think that ethos comes from the idea of music and creating something. I was a very serious pianist in a conservatory before I became a designer, and I think there are a lot of similarities between playing an instrument and landscape architecture. I talked recently at a lecture about the difference between sound and music. Sound is just molecules vibrating in the air that become sound when they enter your ear. When sound moves through the brain and engages the amygdala—the emotional center of the brain—though, it’s the difference between hearing people talk outside and listening to Mozart’s Requiem. So we are always in our work trying to not just create designs, but to reach the amygdala and create magic. As a performer, you’re always trying to communicate with your audience. Our office has changed in that our audience, the group of people that we listen to and who participate [in our projects], has just gotten wider and wider. [Our designs are] ultimately just a reflection of all the people we’ve met who’ve inspired us to try something new. They’re the ones who push us. Speaking of trying something new, Mayor Marty Walsh appointed you to the Boston Civic Design Commission, which evaluates potential development projects in the city. What can you tell us about that? I’ve been in Boston for more than two decades as a designer and a practitioner, and it’s so interesting to be able to sit on the other side of the table. I’ve gone to the BCDC as a presenter, trying to convince this group about our design, and as a new member it’s just interesting to look beyond my firm’s work and be part of a group that has a voice in reshaping Boston. It’s a great opportunity for me to learn more about the city, and I think understanding the larger context of our work will help us be better designers in Boston. It’s such a small design community, and it’s an honor to see clients and friends and colleagues come forward and show their great work. How do you think design in Boston has changed over time? Boston is a historical city with an amazing cultural and design history that’s an important part of its identity. I understand the importance of honoring that. But it has been exciting to see the design language of the civic realm change over the past 10 to 15 years. Boston has become a really young, more cosmopolitan and global city, and I think the future of design in Boston will be shaped by the people who live here. 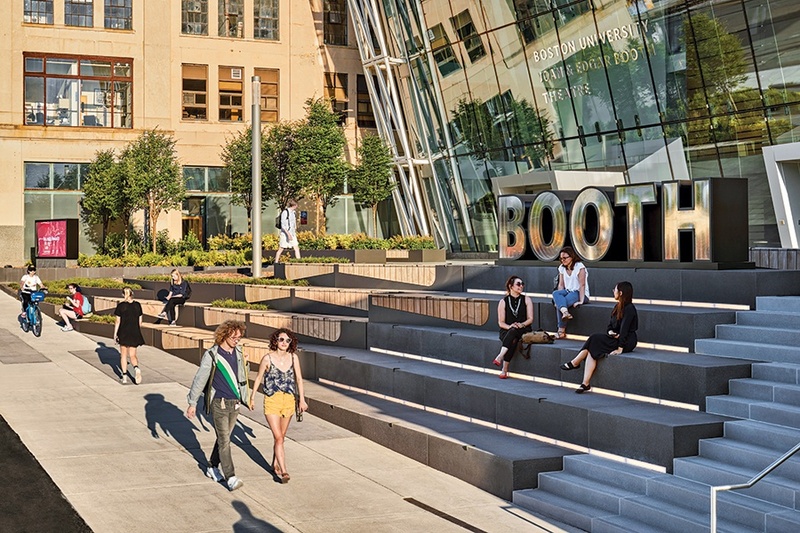 As the population has become more diverse, it’s allowed the design language of the city to become more diverse, too. A lot of younger people are impatient with change in America, but I have seen so much change. When I was a kid growing up in Connecticut, I was the only Asian kid in my school. I remember being in third grade, and bringing in the kimbap bento box my mom made for lunch. All of the kids and teachers crowded around my desk and said, “Oh my God, do you eat seaweed?” Now, I walk down the street and everybody’s eating seaweed! [Change] is what makes a city exciting. Everything gets tied together as a tapestry, and the places that are being designed are reflecting that. What is the most pressing issue facing Boston’s landscape, and how should the city deal with it? Every city needs to look to their youth. The relationship between kids and the landscape is changing in this digital world. Around a third of all children across the globe spend less than 30 minutes a day outside, which is less than most prisoners spend outside. It’s difficult, but with health issues like childhood obesity skyrocketing, it’s important for every city to think about the role that landscape plays in ameliorating these issues. The larger parks that we design get a lot of press and resources, but the [smaller and] interconnected green spaces are the future of Boston. I’m all for innovation, but Boston needs to think about that future and make sure that it retains and builds successful neighborhood spaces, too.